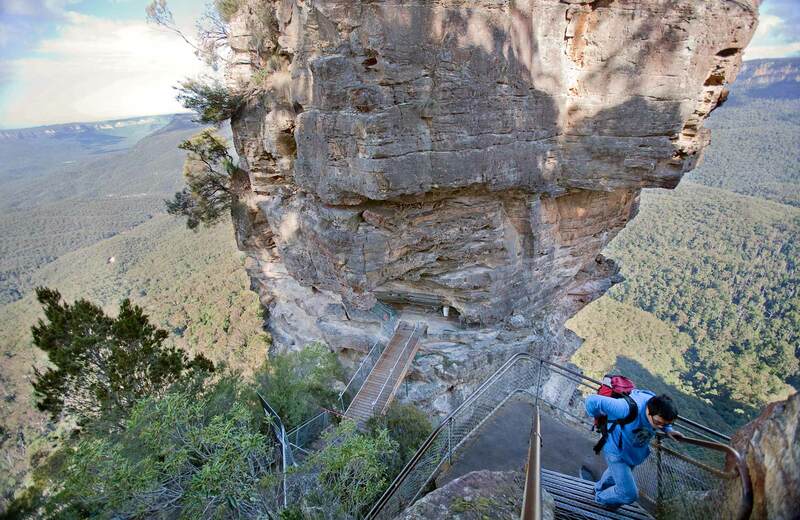 From Echo Point, the historic Dardanelles Pass loop walking track in Blue Mountains National Park is a hard walking track with scenic views of The Three Sisters, waterfalls and rainforest. Although leeches are harmless, they can cause some discomfort, so it’s recommended during wet weather to keep your legs covered. Salt, teatree oil, and toothpaste will repel them. Check the weather before you set out and ensure you're well prepared. Weather can be unpredictable and extreme in this area and Dardanelles Pass can become boggy when it rains. 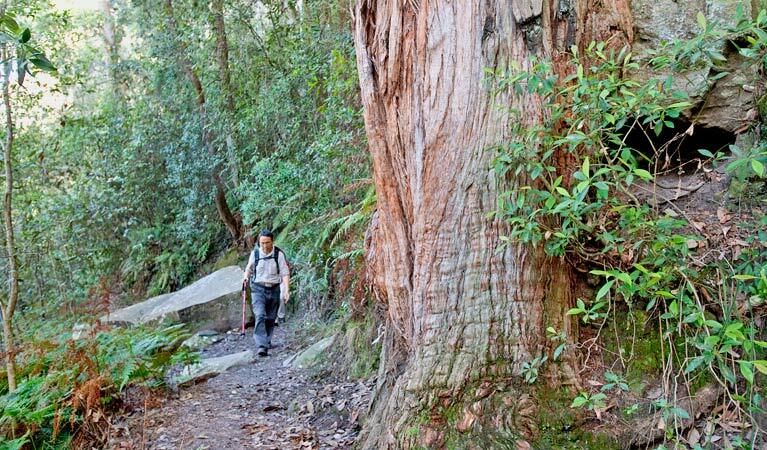 This challenging walk offers a feast of waterfalls, rainforest, and breathtaking views of the Jamison Valley, in Blue Mountains National Park. 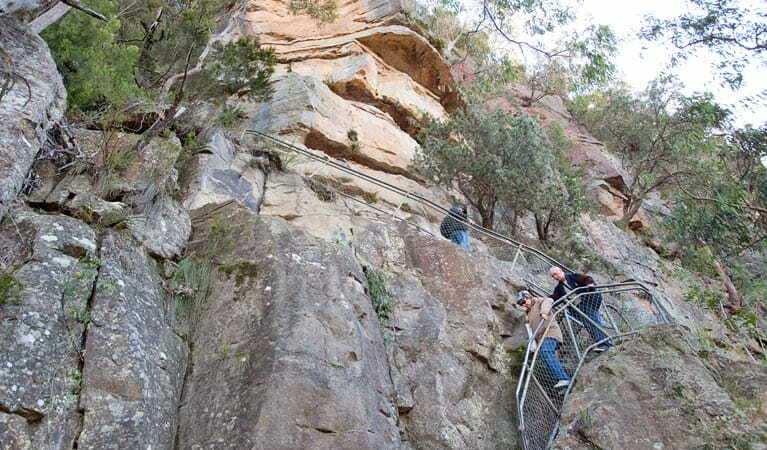 Definitely for the adventurous, Dardanelles Pass loop walking track begins from Echo Point lookout. 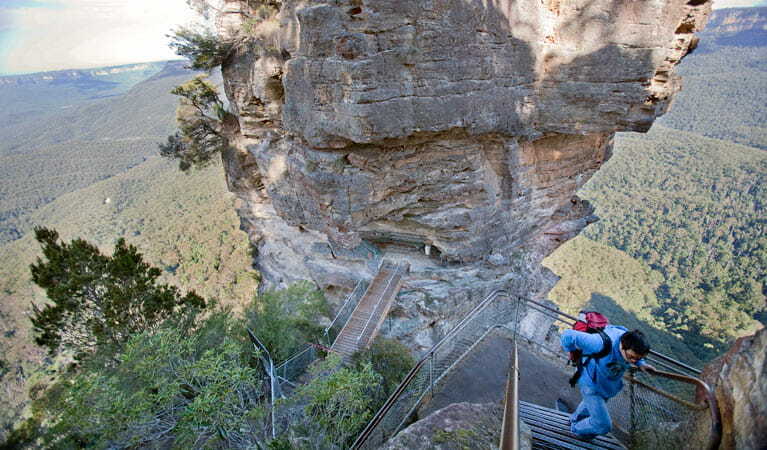 Follow the signs to the iconic Three Sisters, before descending the Giant Stairway. After working your way down over 900 stairs, you’ll enter a dense canopy of magnificent coachwood, sassafrass, and lilly pilly. 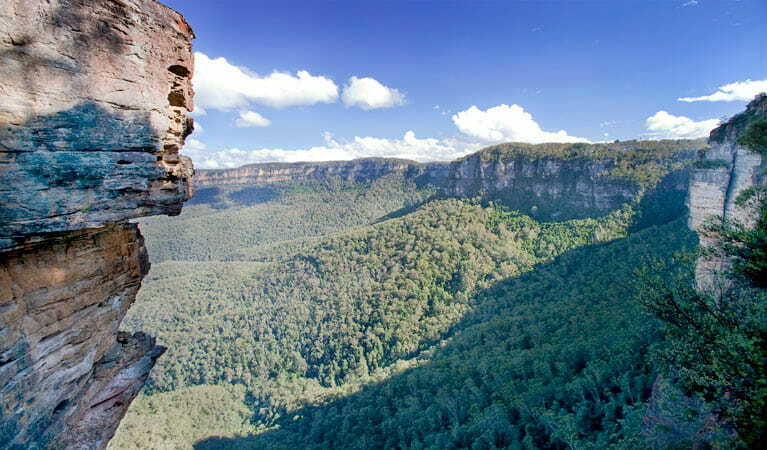 Leura Forest, at the base of the cliffs, is the perfect spot for a picnic stop, with tables and shelters nestled amid the beauty. Once you're well rested you can continue along Dardanelles Pass, where a crystal clear creek leads to the picturesque Marguerite Cascades. From here you can take Fern Bower track back out of the valley, and then enjoy the breath taking views Prince Henry Cliff walk as you stroll back to Echo Point. 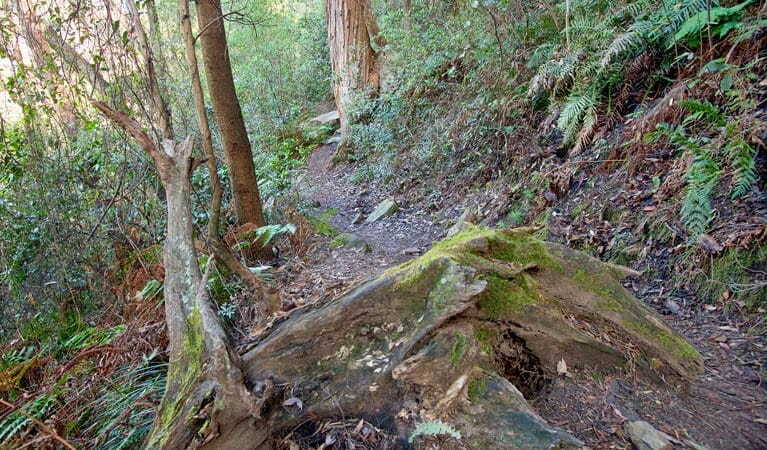 Take a virtual tour of Dardanelles Pass loop walking track captured with Google Street View Trekker.